Representatives of the nations three leading home health organizations - National Association for Home Care and Hospice (NAHC), Visiting Nurse Associations of America (VNAA), and Partnership for Quality Home Healthcare (Partnership)  recently released new analyses demonstrating the impact the proposed Home Health Prospective Payment System (HHPPS) rule issued by the Centers for Medicare and Medicaid Services (CMS) is projected to have on the nations home health delivery system and 3.5 million Medicare home health beneficiaries, if finalized in its current form. The new analysis follows substantial comments NAHC has developed and submitted to CMS highlighting several of the most egregious flaws, areas of concern, and proposed modifications that would serve as a better course of action. For more on NAHCs CMS comments, please see NAHC Report from August 27, 2013. NAHC has also released a comprehensive white paper detailing the flaws in CMS proposed rebasing formula. 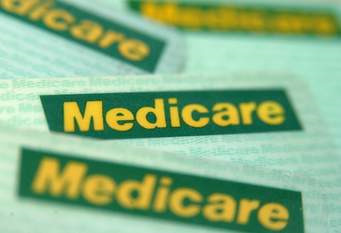 In CMS proposed HHPPS rule, issued June 27, CMS proposes to further reduce Medicare home health funding by instituting a rebasing rate set at the maximum level permitted by law  3.5 percent annually from 2014 to 2017  totaling a 14 percent cut over the next four years. Analysis of the proposed rule reveals that a 14 percent reduction in home health reimbursement would result in a cut of $22 billion over 10 years. When coupled with the $72.5 billionin Medicare home health funding that has been cut since 2009 due to a series of legislative and regulatory changes, the nations home health sector is facing a total cut of nearly $100 billion. If finalized as proposed, this cut is projected to impose net operating losses on 47 of the 50 states and the District of Columbia by 2017, rendering many home health agencies inoperable. Nationally, the Medicare home health margin will drop to -9.77 percent. During the teleconference, home health leaders stressed the essential nature of the home health benefit and the direct threat CMS proposed cut places on the 3.5 million vulnerable, homebound American seniors and disabled individuals who receive clinically advanced, cost-effective and patient preferred home healthcare each year. Data show that Medicares home health beneficiaries are older, sicker and poorer than the Medicare population as a whole and, therefore, at greater risk when cuts take effect. Home health leaders also stressed during the teleconference that these cuts do not have to happen. The Affordable Care Act (ACA) provides the Secretary with discretionary authority in implementing the rebasing provision and does not direct her to reduce Medicare home health payments. The statute, Executive Orders, and case law also call for a series of steps to be taken to ensure that any changes made by CMS are appropriate and "provide for continued access to quality services." According to a previous NAHC Report article from June 28, 2013, NAHC is seeking clarifications and a full disclosure of CMS calculation data and methodology. At this point, NAHC believes that the proposal is based on an unsupportable calculation. NAHC members are encouraged to contact their lawmakers and urge them to preserve access to home health care by opposing such rate cuts. To view a video on rebasing by NAHC President Val J. Halamandaris, please click here.